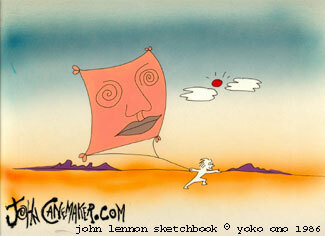 JOHN LENNON SKETCHBOOK (1986) - Prod. : Yoko Ono - This film, commissioned by Yoko Ono, brings to life the imaginative sketches and doodles of John Lennon, set to Lennon and Ono's music and words. Animation director: John Canemaker. 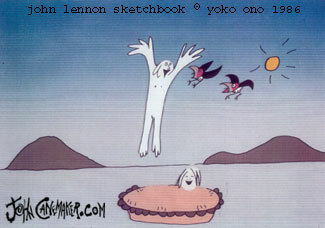 See also: "The Making of JOHN LENNON SKETCHBOOK," How, Sept/Oct 1987.